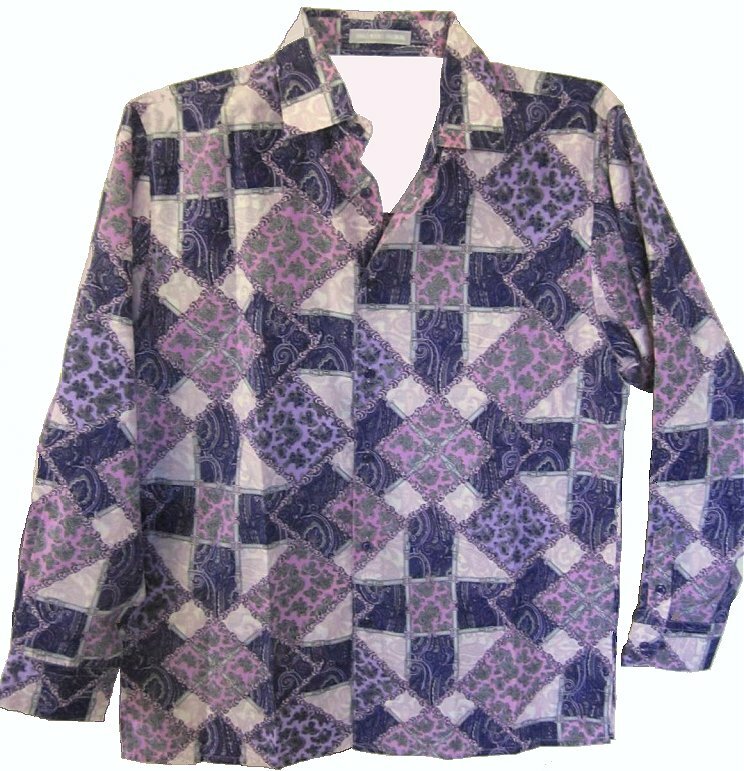 This reproduction disco shirt has a unique pattern. There are paisleys all over inserted into squares and triangles. The dark purple is a little less blue purple and a bit darker. The shirt is a sturdy, very lightweight non stretch polyester. The fit is a today's Medium. The shirt measures 44" around at armpit level for a 40 - 42 chest fit. The length is 31". Sleeve length is 32". The reproduction shirt will work for a 70s or Disco Party.